[dropcap]V[/dropcap]isual novels are my “thing” when it comes to video games. Thankfully, what was once a very niche storytelling-focused genre has grown in the past few years. The most exciting growth seems related to Kickstarter where campaigns for games such as Coming Out On Top receive funding hundreds of times over their goal! This project in particular was one I watched with excitement. You see, at least in the West, visual novels starring gay protagonists tend to be very few and far between. Of course, I wasn’t alone as legions of people gathered behind Obscurasoft’s title. 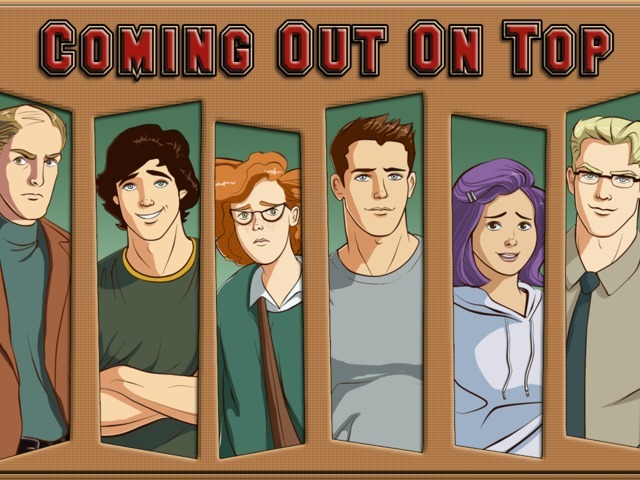 Does Coming Out On Top stand up to the year’s worth of outrageous anticipation? Yes! Of course, people just discovering the game now should also find it a pretty good time. The story revolves around a college senior named Mark Matthews. He has just come out as gay to his friends and finally ready to start living life without hiding. Of course, luckily (or unluckily?) for Mark, this final year at school acquaints him with a cast of muscled hunks – all of whom might catch the player’s eye. 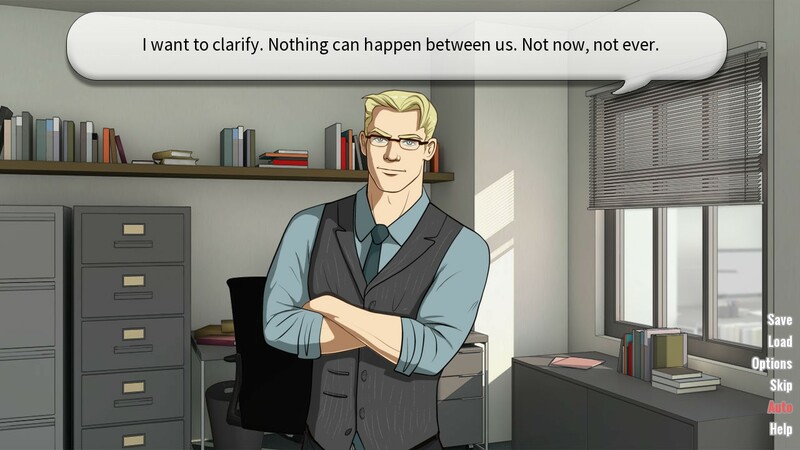 As is common for visual novels, the main focus of gameplay is reading character dialogue. Mark’s roommates Penny and Ian provide the most laughs and are constant companions. However, once you pursue a path for one of the guys you’ll gain access to a ton more additional dialogue, events, and content in all. All characters are presented with a 2D sprite overlaying a hand drawn backdrop. If you make the right choices during play you’re also rewarded with some gorgeous CGs which depict sweet kisses all the way to more carnal pursuits. At the time of this review there’s no gallery mode to revisit said CGs in but one is coming in an update. Coming Out On Top is an unabashed look at the life of a newly out handsome fella but it doesn’t force itself too rigidly to reality. For example, much of the time points are conveyed via humor. I’ve never known anyone quite like Ian, but that lovable goofball’s lines are great all the same. Similarly, the game provides a world where there is no shame to be had for being yourself. Of course, certain paths such as prospectively eyeing your professor are no-nos for completely expected reasons. Positive messages in media are important for the LGBTQ community so I’m very glad about how everything is handled! Unfortunately, because of the adult sequences this isn’t exactly a game to suggest to queer youth. Perhaps there might be hope for an option to hide mature scenes in the future? 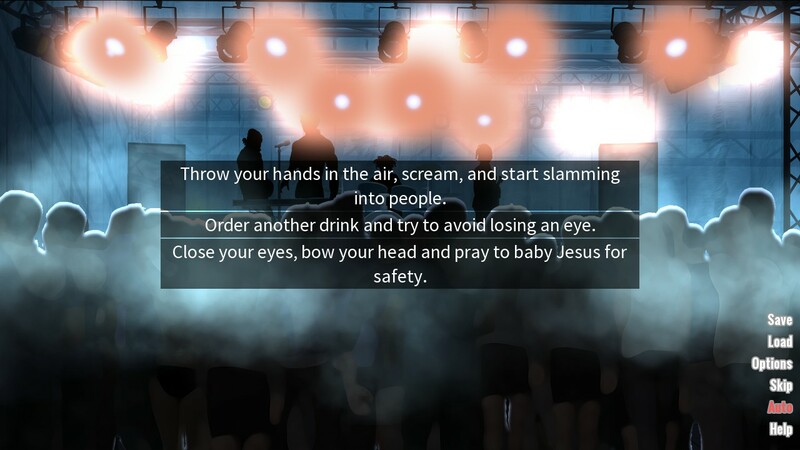 There are many reasons non-visual novel fans should give this game a shot. The well-written characters, regardless of gender, help to ensure the game isn’t alienating players. You can be straight, asexual, or anything else and still enjoy helping Mark along his path. 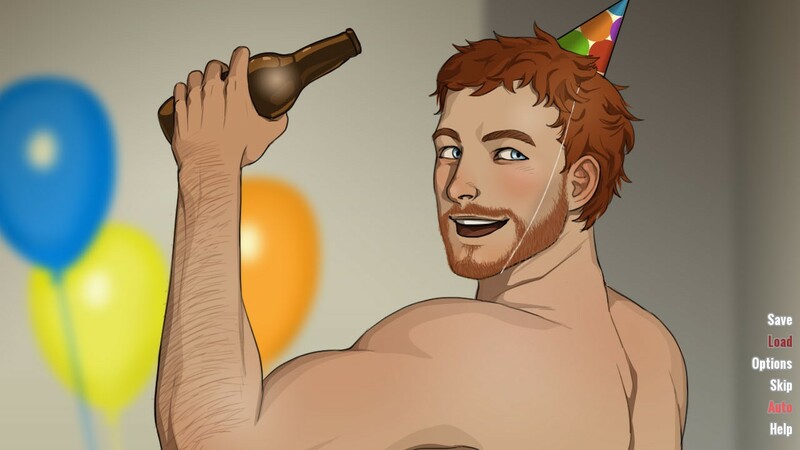 Of course, gay or bi players in particular are poised to have a particularly pleasant time with the adventure. The main sticking point is simply that Coming Out On Top is surprisingly difficult. Each choice you make pushes you toward or against getting the guy of your dreams and there doesn’t appear to be a way to view these changes. On my first playthrough I ended up romancing no one and on the second received a hilarious (but not particularly fulfilling) gag ending. With that said, players who dislike copious saving and reloading can look at a walkthrough some intrepid fan already created to reduce such frustrations. With all that said my hope is that many people give Coming Out On Top a shot. This visual novel contains a variety of boys to pursue with lovely, even touching, storylines for each. Along with great art and tons of dialogue choices there’s at minimum 10 hours of gameplay to enjoy to complete everything. It is likely to never be on Steam due to 18+ content, but you can support the developer directly by buying Coming Out On Top through their website.